Growing to leaps and bounds each day K-Nine Healthcare System is a family company dedicated to offering great value through its premium range of surgical products. At K-Nine Healthcare Systems we believe a valuable service is built by the relationship we share with our customers. All of our products have been created meticulously under the guidance of industry and medical experts. Our strongest asset is the superior quality of our products. 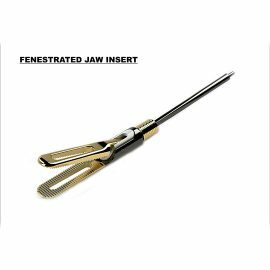 Each of the surgical devices has been soundly designed to serve its purpose well. Our goal is to offer products which significantly improve the efficiency and effectiveness of today’s most challenging surgical procedures. We’re working to shape the future of surgery and to change the world for the better. We share an enduring commitment to advance surgical care so more patients live longer, more fulfilling lives. And we are continuously evolving to better serve our customers. 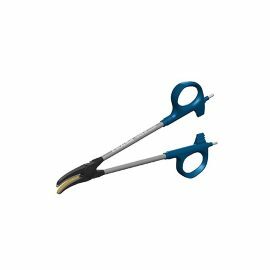 K-Nine Medical Systemsis a leader in the design, manufacturing, and distribution of Laparoscopic Instruments. 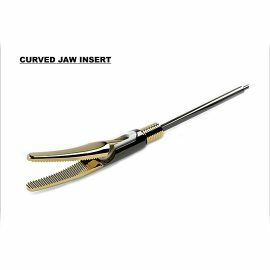 We aim to be the largest manufacturers and suppliers for surgical instruments across globe. There’s a way to do it better — find it. K-Nine Medical Systems always believes in finding a better way to every solution. Our experts are inclined towards bringing innovative solutions and designs in healthcare and science and also manufacture instruments with extensive compatibility, excellent efficiency, and with a mechanism to use single instrument for multiple surgeries. K-Nine has designed single instruments using intelligent mechanism that offers COAGULATION, SEAL AND CUT FUNCTIONSwithout changing the instrument. Take the difficult path for making something that is easy to use rather than using simpler path to make something that is difficult to use.This being our motive, we work harder and skillfully in making instruments that would be easy and efficient to use for doctors and surgeons. We are very sensitive towards safety of patients and make it mandatory to meet worldwide safety norms. IS PATIENT SAFETY YOUR CONCERN? 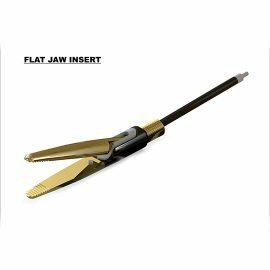 ARE YOU TIRED OF USING DIFFERENT INSTRUMENTS FOR DIFFERENT SURGERIES? IS YOUR SURGERY TAKING MORE TIME BECAUSE OF IMPROPER INSTRUMENT? DO YOU FACE TROUBLESOME BLEEDING? IS YOUR PATIENT EXPOSED TO A THEORETICAL RISK OF INJURY? DO YOU GET FATIGUED / TIRED AFTER A COMPLEX SURGERY? DO YOU GET LOCKED WITH ONLY ONE ENERGY SOURCE? I, Dr. I. AHAMMED have used the instrument Excalibur in the Laparoscopic procedure in the general & gynecological surgeries. My Experience in that this Laparoscopic bipolar hand Instruments works as a very good sealer and some time cuts the sealer structure. 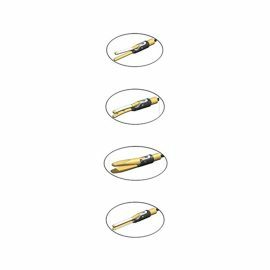 So combination of sealing dissecting & dividing features of this instrument save the this of operation and improves the quality of operation. Finally in my opinion it can be used in replace of Harmoni like instrument for the lost effective procedures. Careful use does not invite and complication in relating to energy spread. I wish to state that the Excalibur vessel sealer & cutting system is an excellent device. It is safe and extremely efficient in both sealing and cutting of vessels & tissues. It is also extremely durable lasting more than 70-80 cases. I have virtually replaced using all my other energy sources such as vessel sealers & ultrasonic scalpel with this device. This has also dramatically reduced my surgical time. Works as a vessel sealer and scissor. Thus, providing two function on one instrument Easy to clean and maintain. 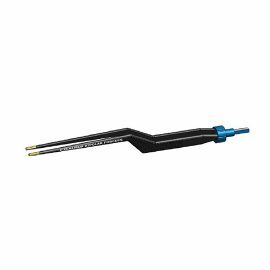 Less then or equal to 2 mm thermal spread. In normal bipolar mode it requires 50% less power compared to others. 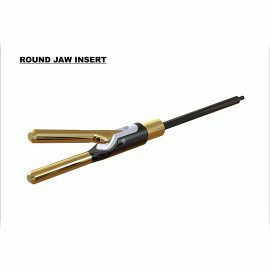 Regarding round jaw, its cutting efficiency is very good and fast. Fast Indian instrument which I really admire and would like to refer to other Laparoscopic surgeons. I Wish K Nine Medical Systems, All the best for their current and future Research & Development endeavors and would like to use their validated, standard, high quality and innovative instruments in future as well. K-Nine Medical Systems was founded by Mr.Dipen Shah with a vision of providing today’s healthcare, hospitals, doctors community with unique and thoughtfully developed high quality surgical devices. A- 101/102/103, First Floor, Sunflower Industrial Building, Shivneri Marg, Ambedkar Chowk, Off - Goregoan - Mulund Link Road, Goregoan (e), Mumbai 400 063, Maharastra, India.